A quintessential American Icon, covered bridges are in fact a worldwide phenomenon. They can take a variety of forms – ornamental or utilitarian – and can be made of wood, stone or metal using a range of construction techniques. We’ll take a tour of some notable bridges, beginning with the world’s longest covered bridge in Hartland, New Brunswick. 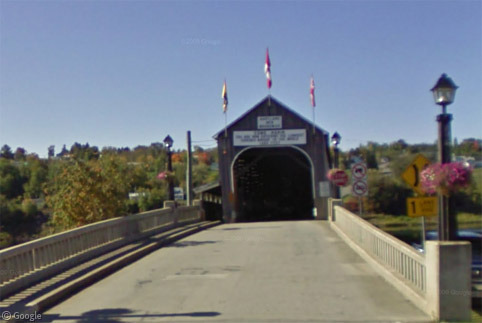 While the Street View car drove both sides of the Saint John River, it unfortunately did not take the small side road which crosses the 391m Hartland Bridge. It was originally built in 1901, though it has suffered damage from ice and fire at various times. You can learn more at the town’s website. This time we do get a good look at the interior of the bridge. There are many theories about why covered bridges became popular in North America starting in the 19th century. Some believe that they prevented herds of animals from being disturbed by the sight of rushing water or that they protected travellers during inclement weather (which surely wouldn’t be any worse over a river than the rest of the road?). However, the more likely explanation is that covering a bridge structure quite significantly extended the life of the wooded decking. Because not every bridge can be the overall longest, tourist officials come up with a variety of other superlatives to try to draw attention to their local landmarks. For example, the 71m long bridge in Blenheim, New York, which is the world’s longest single-span covered bridge. It’s also notable for being one of only a few ‘double-barelled’ bridges – having a separate laneway for each direction of traffic. Covered bridges are also found in many European countries, and they are often much older than those found in North America. 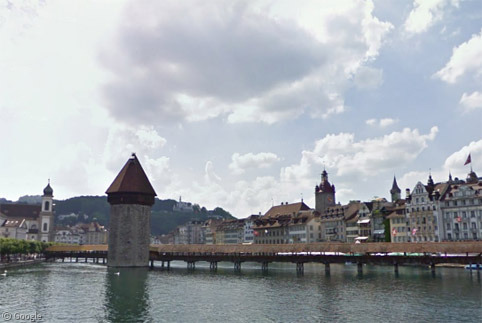 The oldest is claimed to be the Kapellbrücke (Chapel Bridge) in Lucerne, Switzerland, which was first built in 1333. Street View gets a very picturesque look at it from a nearby road bridge. This isn’t entirely the original structure, much of which – including 17th century paintings which adorned the interior – was destroyed in a fire in 1993. The brick tower at the mid-way point has been used by the city for many purposes – its thick walls and defensible position making it ideal as a treasury and watchtower, though it was also a prison at some point in its history. 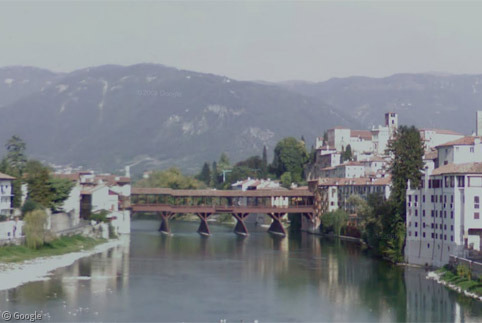 Additional entrants for ‘most picturesque’ covered bridge are the town of Bassano Del Grappa in Italy, and Chateau Chenonceau in France, which was one of the chateaux recently visited by the Street View trike. Not all covered bridges cross waterways. 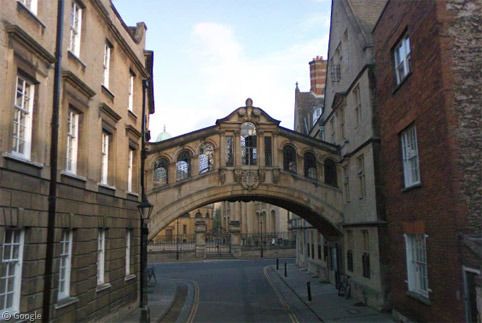 In Oxford the Bridge of Sighs2 connects two buildings in the famous university. 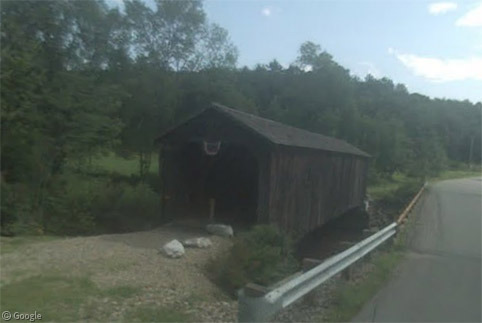 Returning to the US, the state of Pennsylvania claims the largest collection of covered bridges, having more than 200! Many of these are found on streets creatively called Covered Bridge Road (or Lane, or Avenue, etc). One example is the Dreibelbis bridge. With such a large number of similar addresses, you have to wonder if people’s mail is prone to going astray. 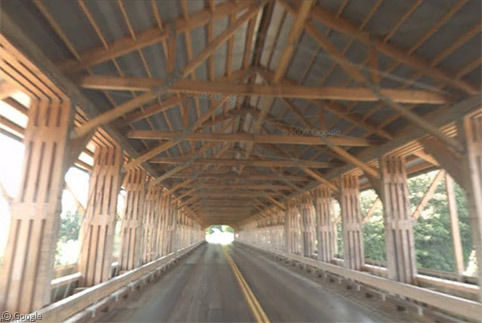 Many covered bridges around the US are listed on the National Register of Historic Places, and it is encouraging that efforts are made to preserve them even when they are replaced by more modern road bridges. The McDermott Bridge in New Hampshire is one such example. Covered bridges enjoyed a period of fame with the success of the book Bridges of Madison County, and the film of the same name. 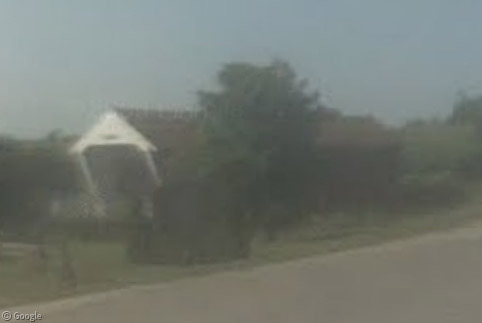 There are six bridges in Madison County, Iowa, though only one of them is visible on (a rather hazy) Street View, the Imes Bridge. The satellite images allow us to see Cedar Bridge and Holliwell Bridge, both of which were used as filming locations for the movie. 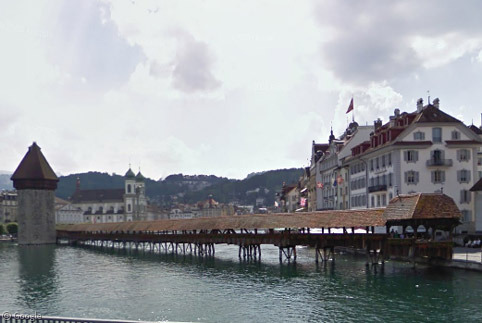 As with so many of these historic wooden bridges, the original 1883 Cedar Bridge was destroyed by fire, though it has been rebuilt to the same design. There are also many covered bridges in Asia, though we have yet to find any good images on Google maps. Please link to them in the comments if you know of any. We’d also love to hear of your own personal favourite covered bridge, as there are many hundreds that we weren’t able to include in this post! 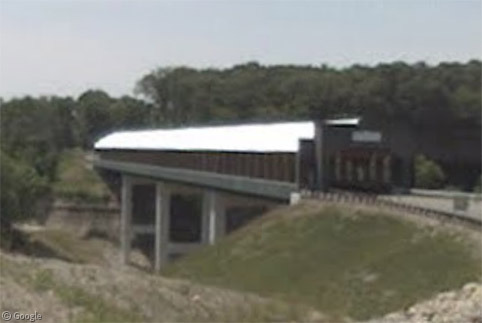 It used to be the longest covered bridge in the U.S. until the Smolen-Gulf Bridge mentioned above came along in 2008. 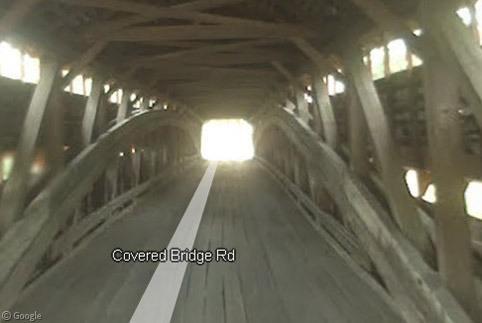 Another bridge worth mentioning is the covered bridge in New Germantown, PA. It’s the only one of it’s kind in the county, and quite possibly one of the oldest in the country. What about this bridge in my country Bulgaria, city of Lovech? 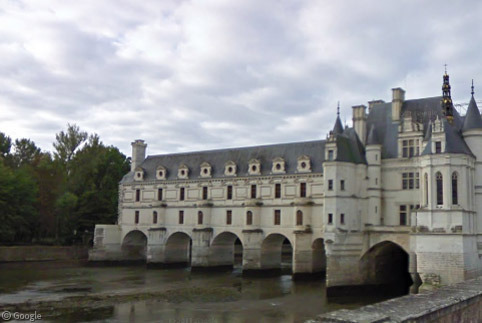 http://goo.gl/maps/e9H6 It’s build 1838 year. Clarkson/Legg Covered Bridge in Cullman County, Alabama. Aw, you forgot the de’Medici passage alongside the Ponte Vecchio, connecting the Uffizi to the Pitti Palace in Florence, and the Papal getaway (Angels and Demons closing scenes) from the Vatican to Castel St’Angelo – it crosses several roads, so it just about counts as a bridge.